I’ve been thinking of this idea for a while, debating to post it or to actually build a proof of concept and a startup around it. Posting the idea won this time, well, because I realize I couldn’t do this all by myself, a startup would require too much time and I’m not sure yet how this idea could be monetized except for the obvious benefits of recycling plastic. The beauty of the idea convinced me to post it too. Haven’t stopped thinking on how to translate it into practice, and who knows, in a rather wired way, maybe this post will help drive that. Use the PET material from recycled plastic bottles in order to 3D print little toys, slogans, souvenirs, etc, to encourage people to recycle more. It would be something similar to a coffee machine, fed with PET bottles and a coin or 2. The output of it would be small colorful toys for little children, slogans or small art decor items, souvenirs, or any other small object that would interest people or companies to keep or to transmit a commercial message through it. A tablet connected to a cloud app. I would need a mechanical engineer to design this. The idea is pretty simple and preciousplastic.com already did it here: https://preciousplastic.com/en/machines.html. Would only need to make an effective design at a smaller scale including the Shredder machine and the Extrusion machine. Another idea is presented here https://www.instructables.com/id/Plastic-shredder-for-making-3D-printer-filament/ However, I do believe the one from above can be adapted more easily to the requirements of the project. There already is a built product, named ProtoCycled+, but it’s price I consider it too high compared with the price of the solution proposed by PreciousPlastic. 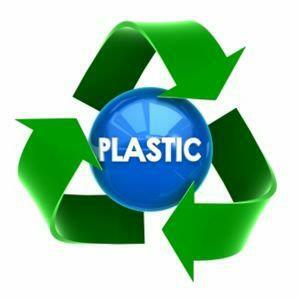 Perhaps it worth’s the development process to adapt the PreciousPlastic’s idea to this project. The printer should cost no more than 1000 €. It should be reliable, low maintenance, high success rate. It should also be able to print up to 100 items per day in fairly reasonable time. One example per my google searches would be Prusa i3 MK2S kit It’s not a color 3D printer, I (or them) still have to figure this part out. Well, this should be the easiest part. You would only need an online store kind of application and adapt it to control the printer based on what the customers have chosen to get. Ideally, the tablet would also get real time status from the 3D Printer, from the Shredder and Extrusion machines and perhaps from the bill/coin taker machine. An IoT project to cover this for sure would sell for multiple other solutions too, making the existing automated ‘coffee machines’ like smarter and Internet connected. With these 3 parts designed to work together the ‘coffee machine’ like would cost between 1000 and 2000 euros, and it could be disposed in supermarkets, office places, coffee shops. It could sit in any indoor place with enough visitors for it to be effective. If the owners of the recycling plastic devices would like to transmit commercial adds through the 3D printed objects, then the customer would not have to pay for them. Companies could use these devices too in order to reduce the amount of trash they are producing. If the owners only want to sell little toys or just want to encourage people to recycle, then a very small price of 1 bill or 1 coin, should be charged for the little toys. The price would also need to vary based on the amount of PET needed to print the chosen toy. How difficult is to adapt the design proposed by PreciousMetals to fit it within a ‘coffee machine’ like plastic box? How much a device that would do reliable Color 3D printing would increase the cost? How chemical processes can be incorporated to transform PET into PET-G for example? Is it even possible? How this idea of a recycling plastic machine can be monetized? I’m very curious to read your answers in the comments or in private messages. If anyone likes this idea that much that even considers to associate with me to build it, please contact me privately. Nice read, I just passed this onto a friend who was doing some research on that. And he just bought me lunch since I found it for him smile Therefore let me rephrase that: Thank you for lunch! “A thing is not necessarily true because a man dies for it.” by Oscar Fingall O’Flahertie Wills Wilde. forward to looking over your web page repeatedly. of this post, in my view its really awesome designed for me. or tips for new blog owners please share. I understand this is off topic but I simply wanted to ask. Will reply to you in a private message when I get a chance. I’m using a standard free theme: SydneyVersion: 1.45 which I customized the colors on it by my own. Nothing too complicated, I had the colors code from an older site that I buit.